By the end of the 2013-2014 school year, over 100 university students and NGO staff in Iraqi Kurdistan benefited from the Online Course on Biodiversity and Conservation in the second year. Each year over 50 students enrolled in the course over two semesters. This course is comprised of six units designed to give the students an introduction to biodiversity and conservation, with a focus on the biodiversity of Iraq. 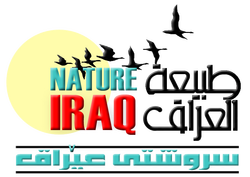 It has been developed as a partnership between Nature Iraq, the Faculty of Agricultural Science at the University of Sulaimani, the Centre for Middle Eastern Plants (part of the Royal Botanic Garden at Edinburgh), and BirdLife International.